Developed as complimentary to Factair's Mobile Breathing Air Compressor, Safe Air Cabinets and Trolley range, these Safe-Air hoses provide the best protection possible for any operatives who work in a hazardous environment. Design of the hoses fully meet the requirements of EN14593 and EN14594. 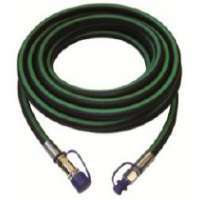 Breathing Air Hoses There are 3 products. 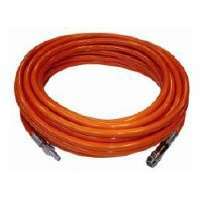 The anti static breathing air hoses are tried and tested for kink, pull and crush, making them Newton class B standard, ensuring an excellent level of presure integrity and strength.